Some couples are fine with the usual platinum or gold wedding bands, but for those who want something a little more unique, there are plenty of options out there. There are a few different reasons an engaged couple might opt for less traditional bands. For instance, they might be allergic to a certain metal, their job restricts them from wearing a metal wedding band, or they just simply want a ring that better fits their style. Here are 5 interesting alternatives to the modern wedding band. A typical wedding band is very simple and often undecorated, but this isn’t a necessity. 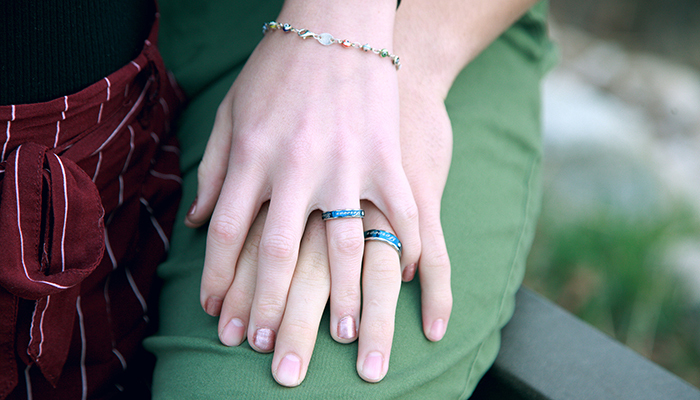 If you want to add a little more color and design to your band, enameling is a great choice. You can still make the ring out of gold, platinum or your chosen metal, and use enameling over it for a little embellishment or to decorate the whole ring. This is also a good idea if you want to add a romantic inscription or your fiance’s name onto the band. If you’re allergic to metal or just want a more rustic, organic look, a wooden wedding band can be a good pick. 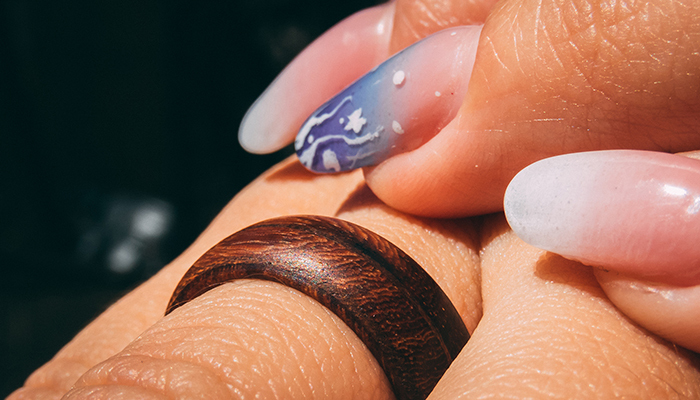 You’ll want to make sure the wood tone doesn’t look too out of place next to the engagement ring, unless you don’t plan on wearing the bejeweled ring on a daily basis. You can choose a simple polished rosewood or walnut wood band, or a titanium ring with a wood inlay. In any case, this naturalistic choice definitely offers a unique and trendy look! If you work with your hands a lot and don’t want to risk bending or damaging your ring, a simple pendant necklace can be a good idea. 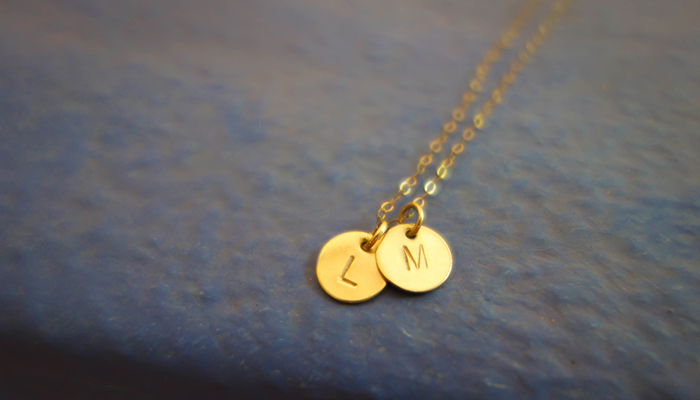 Although a heart pendant or similar motif may be a little too ambiguous, a pendant with your couple initials is a nice subtle symbol of your love. Keeping to precious metals like gold and platinum is ideal in order for your matching necklaces to stand the test of time. 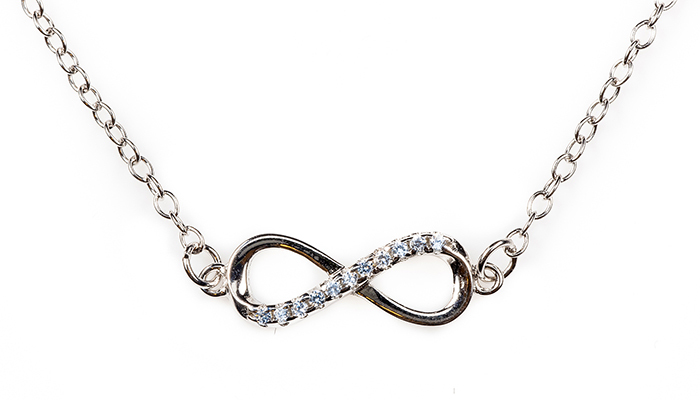 An infinity necklace is another great option if you’re opting for something non-traditional. The infinity symbol is one of the best motifs to represent your lifelong dedication. Although a plain gold or platinum pendant is ideal for the guy, the bride can wear diamonds on hers if desired. Finally, if you want something a little more permanent, or just feel bridal jewelry isn’t your style, you can go for a matching tattoo. 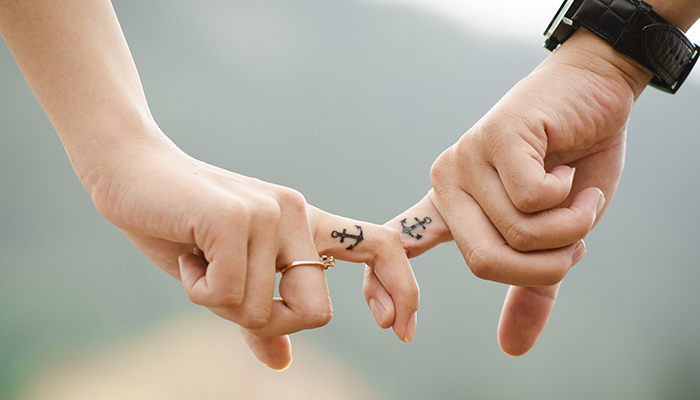 An anchor is a common choice to represent stability and the strength of your bond, but you can also go for your partner’s initials or another image you feel is a better symbol for your relationship. A tattoo is forever and for some couples, it’s a great way to show the true permanence of their marriage. These 5 wedding band alternatives are interesting and creative twists on the usual plain platinum band. If you need something different from the traditional wedding ring, there’s plenty of options out there, and you’re sure to find something that matches your unique needs! CadCamNYC is a jewelry design studio based in New York that works with high-end designers and private clients. For more blogs on fine jewelry, visit CadCamNYC.com.